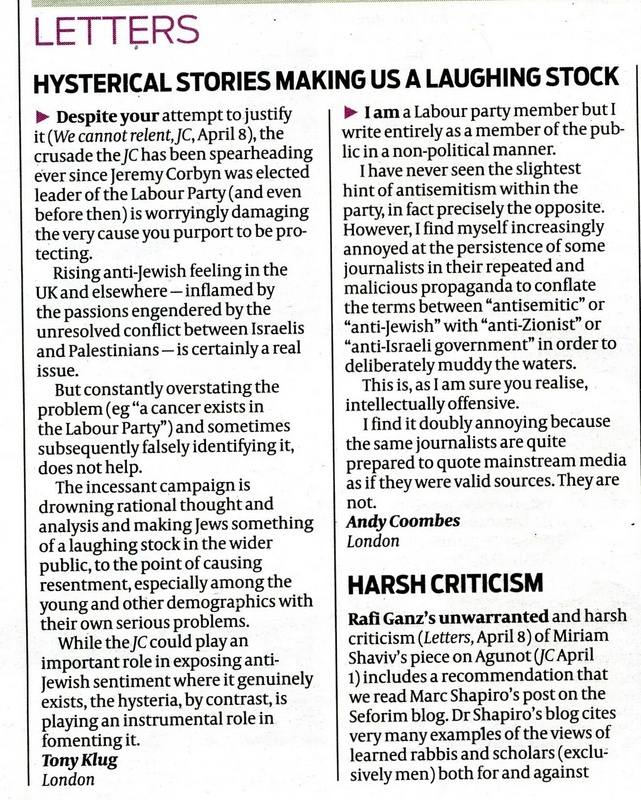 Curiously the JC hasn't gone in too hard on named individuals like The Telegraph and Times did in the case of Tony Greenstein, only to find themselves humiliatingly having to retract. It's also curious that the JC has allowed any criticism of its own sheer dishonesty. 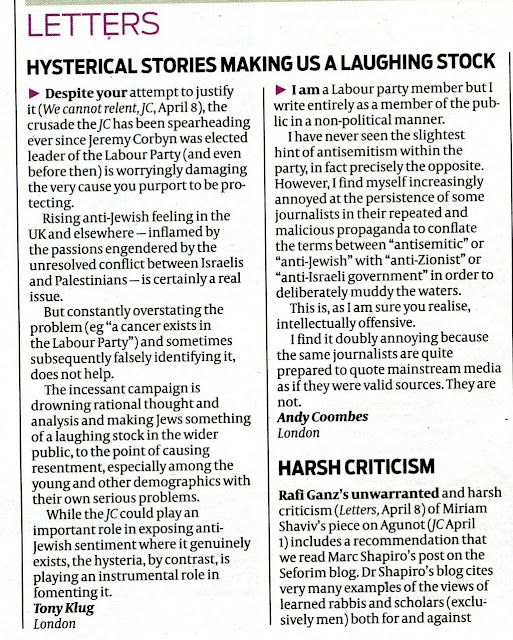 The incessant campaign is drowning rational thought and analysis and making Jews something of a laughing stock in the wider public, especially among the young and other demographics with their own serious problems. Yes, Zios are making Jews look like a bunch of Woody Allens (when he used to be funny) but the impact of their dishonest racist antics is harmful to community relations and that's no laughing matter.